Unofficially nominated for “Best Album of 2012 Award”! From the opening radio samples mentioning the problems dealing with the Mexican drug cartels and the corrupt politicians that unofficially support them, it becomes very apparent that this album is going to be a rewarding and highly intelligent statement from a perspective that I honestly dont have much experience with (kind of like looking through a window at someone else’s political situation). The songs, although heavily influenced by punk rock / crust, are firmly in the sonic arena of DIY rock n roll. Crust elements abound, such as deep gruff vokills, galloping beats, and lyrical subjects that approach an aura of political hopelessness. The back of the record jacket sums it up best as “MOTORCHARGED CRUST N ROLL”. 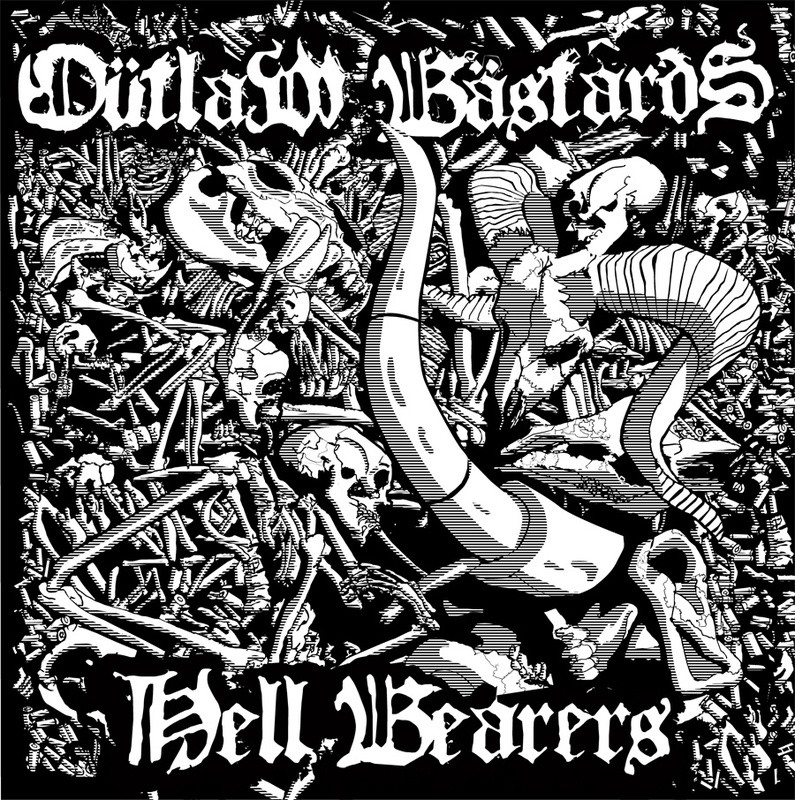 OUTLAW BASTARDS come from Tijuana, of of Mexico’s cities of sin. The lyrics are printed half in English, half en Español, and there’s an accompanying page typed in English explaining the meaning / thoughts behind each one. Major themes are the violence / corruption caused by the drug cartels and the so-called “war on drugs”, struggles of immigrant workers (especially in USA (E.U.A. )), and thug life caused by a lack of real opportunities for impoverished youth everywhere. The band is a 5 piece, and all play their instruments exceedingly well. There’s plenty of intricate guitar leads / riffs, and some really shredding solos thrown in for good measure. The bass and drums break it down a couple times to get a damn groovy mood out, and I hear at least 3 distinct voices in the songs. The last track starts off as a doomsy crust dirge, and is one of the best, a lot of ideas are thrown into the mix. The lyrical content is about going back to prison, and the repeating line “death, sweet mother, take me home” just couldn’t get more real, heartfelt, and grief – stricken. There’s an acoustic song hidden after about 5 or so minutes of silence to close out the album.